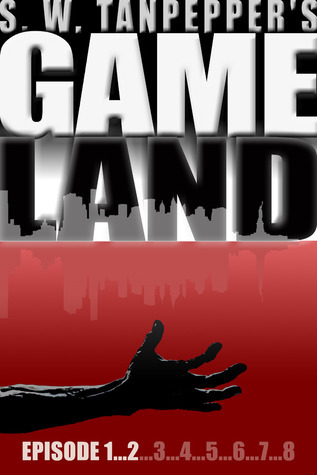 A group of tech-savvy teenagers breaks into Long Island’s Gameland, a formerly militarized wasteland that was, for years, abandoned to the Infected Undead before being reclaimed by a government-sponsored company interested in merging virtual reality and survival gaming into a single seamless entertainment package. But while breaking into The Game turns out to be a lot easier than they could ever have imagined, breaking out is one hell of a killer. Episode 1 Free For Kindle July 27th and 28th!! First of all let’s get started by talking about the format of this book. You’ll notice in the title that it is sectioned into episodes 1-8. Currently only episodes 1-3 are available. Which are the 3 that I will be reviewing here. This book is played out like a tv show. Each episodes ends on a cliff hanger much like the tv show the Walking Dead or Lost. The next episode has a little backstory of the previous one and then picks up where the story arc left off. It makes for a fast paced, interesting read. Without annoying commericials to boot. I’ll take it! The rest of the characters are quirky and rag tag. They are a futuristic computer hacking scooby doo gang…minus the dog…plus a couple dozen zombies. Real zombies, not a bunch of white dudes in masks. There is plenty else to keep readers entertained. Romance (YA-M style), mystery (someone within the group has betrayed them but we just don’t know who yet…I have my suspicions) and action. If you enjoy a good action filled book/tv show then you should definately pick this up. The zombies are just an added bonus. Honestly, I would have loved it even without them. At the end the author tells you several ways to update your ebook at the beginning of each month when he puts out a new episode. I will be downloading the next one for sure. I want to see how we get to the end (which he tells you in the beginning).